Information: Jerry L. Helt, square, contra, and round dance caller. Jerry is considered by folk dancers throughout the fifty United States and Canada as the most popular caller and teacher of American Square Dances, Contras, and Rounds. He is known for his humorous, fun teaching style, for his specialty, "Exploding Squares," and for his very popular creations "Sweep a Quarter" and the round dance "Jiffy Mixer." Jerry began his square dance activities in the early 1940s and has been a full-time caller since 1953. As a professional caller and instructor, he conducts callers' clinics and workshops, and serves on the teaching faculty of numerous universities, institutes, and camps throughout the United States and many foreign countries. Jerry is not only a member of Callerlab (the international association of square dance callers), he served on its founding Board of Governors. He conducts a full program of classes and clubs in Cincinnati, Ohio, and surrounding areas that includes squares, rounds, quadrilles, and contras. He has served on the program of the National Square Dance Convention since 1953 and served as a member of the Blue Ribbon Committee for the American Square Dance. He is fully licensed by A.S.C.A.P. and B.M.I. Jerry is a recording artist on Blue Star, MacGregor, Scope, Sets in Order, Hollywood, Kentucky, and Gateway Records. He also has performed and recorded with the Cincinnati Pops Orchestra on the Telarc label. His numerous albums and singles are heard around the world. He has produced "Jerry Helt's Dance Party KDF-003," a video and audio cassette for non-dancers, people of all ages, square dancers, school groups, square dance callers, and collectors. Jerry has been featured as a caller and choreographer on stage and in television shows and choreographed square dance scenes for the Cincinnati Opera's "Elixer of Love." He has conducted exhibition groups and has taught dancing to mentally retarded, wheelchair groups, and children. He has performed and called square dances throughout the fifty United States and has been featured in articles in the national square dance magazine Square Dancing as well as other magazines and publications. He was a member of and choreographer for the AMAN International Folk Ensemble. Jerry attended engineering school at the University of Cincinnati. He enjoys many hobbies, such as sculpture and antique collecting, with his wife Kathy and three daughters in Cincinnati, Ohio. 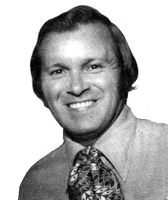 The American Square Dance Society inducted Jerry into their Hall of Fame in 1979. The Jerry Helt Fan Club and its national membership contribute and support the American Cancer Society to help wipe out this dreaded disease. Early 1940s  Began square dancing. 1953  Fulltime square dance calling. 1953  Served on the program of the National Square Dance Convention. 1979  Inducted into the American Square Dance Society Hall of Fame. Style in Square Dancing, an article. Styles of Appalachian Clog Dance, an article.